Tides of Vengeance is Battle for Azeroth's first major content patch, expanding on the story started on Battle for Azeroth launch, with the addition of Incursions, a new Warfront, two new Raids, Heritage Armor for non-allied races, and much more! Tides of Vengeance will release on December 11th 12th for the EU, however the Battle of Dazar'alor raid is scheduled to arrive at the beginning of 2019. 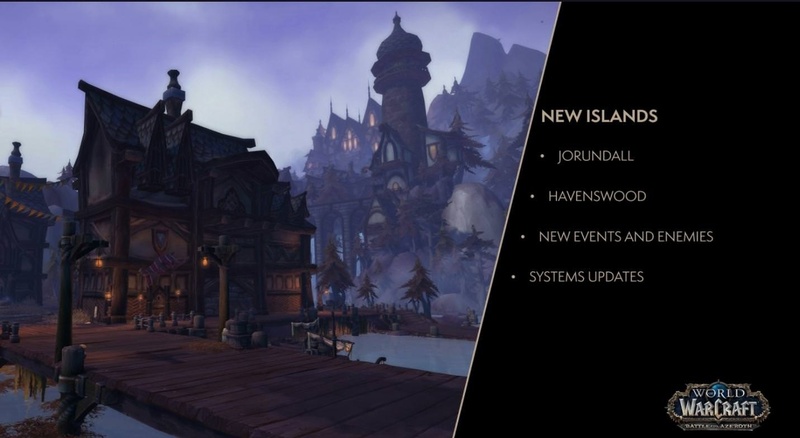 While Battle for Azeroth expanded mostly the stories from Jaina and Talanji, Tides of Vengeance will focus on different characters, along with an expanded War Campaign, new World Quests and Incursions. 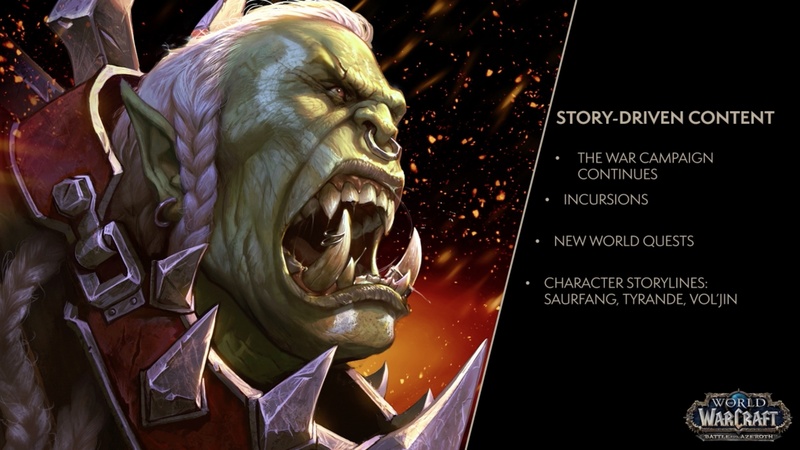 Tides of Vengeance will continue the storylines from Battle for Azeroth's launch, including an expanded War Campaign, now affecting the enemy faction more, as we press our war efforts.In order to participate in this, players will likely need to complete the current War Campaign, to learn more check our Alliance War Campaign and Horde War Campaign guides. With the increased attacks, we will now have Incursions, which will work similar to Legion's Invasions, but now done by the opposite faction's forces. Leveling characters are able to participate as well, as long as one character from the account has unlocked World Quests.This is a good alternative to level up for alts on the 110-120 range. Currently, max level characters receive 600 Azerite upon completion of an Incursion. Incursions are currently available for testing in Tiragarde Sound, for Alliance characters. They currently last for 18 hours, but this is likely an extended duration for testing purposes.If you haven't played in Legion or need a refresher about how those invasions worked, check out our Legion Invasions Guide. Tides of Vengeance will add new World Quests to Zandalar and Kul Tiras! Tides of Vengeance also brings a new Warfront: The Battle for Darkshore. 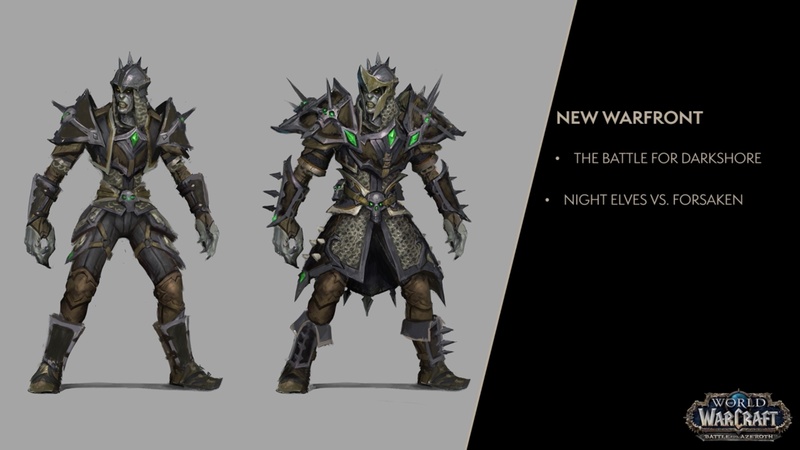 This Warfront focuses around Night Elves versus the Forsaken. This new Warfront will feature many new improvements and new structures and upgrades, like ballistae.Want to learn more about the Warfronts system? You can learn everything about them in our Warfronts Guide, and info specifically related to Darkshore in the Battle for Darkshore Warfronts Overview.The Warfront will start controlled by the Horde, with the Alliance starting in the contribution phase.Like with what happened with Arathi Highlands, the outdoor zone of Darkshore will be updated to have max level rares and quests for the faction that holds it at the time. Tides of Vengeance will add two new islands, with many new events and new enemies! The islands will have Holdouts that you can trigger and new Azerite Extractions, bases that you can control and will slowly increase your Azerite over time.Learn more about Island Expeditions in our Island Expeditions Guide. Azerite Impurity - Target certain armor pieces from Mythic+ dungeons. Missing from Battle for Azeroth's release, the option to solo queue for the Looking for Raid versions of the Legion Raids is being introduced in Patch 8.1. 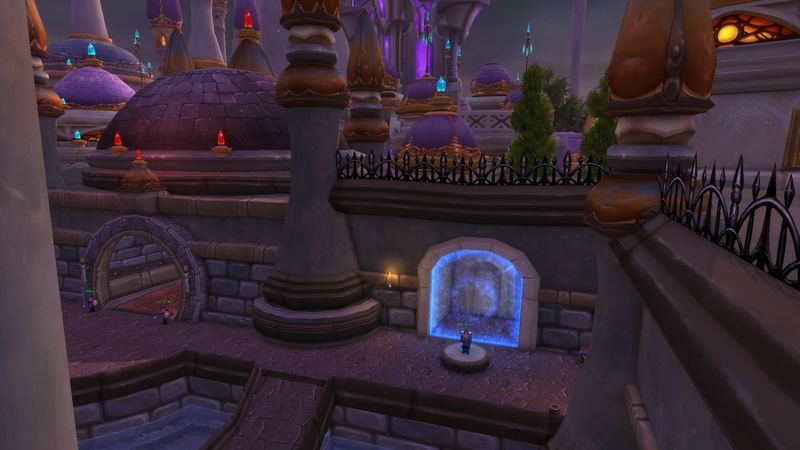 To access them, talk to Archmage Timear by the Violet Hold in Dalaran by the Broken Isles. Experience required to level from 20 to 120 has been reduced in 8.1. The biggest reductions come in the level 60 range at 40%, with sizable reductions for all past expansions. In patch 8.1 we are also getting a leveling elixir Draught of Ten Lands, a mysterious item Taste of Victory, and new heirlooms like a tank cloak. 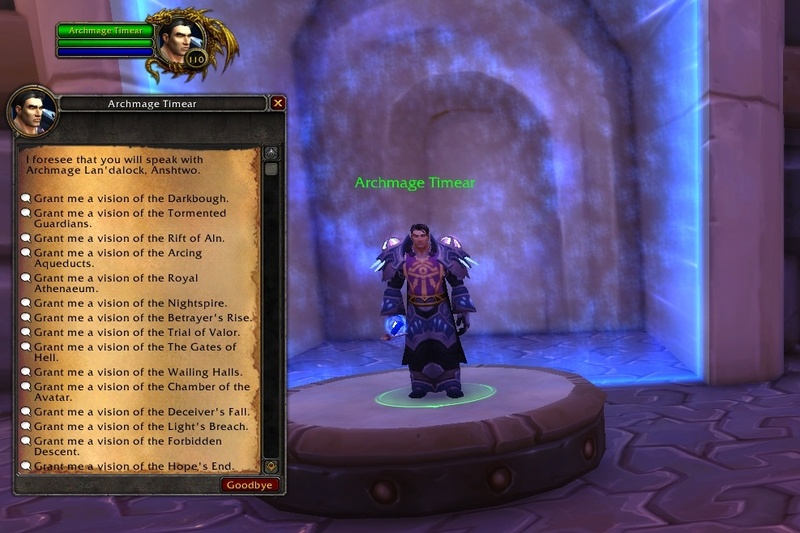 Tides of Vengeance will add many new Azerite Traits. Battle for Azeroth's launch traits worked as testing waters to see what players enjoy and what they don't, allowing Blizzard to design better and stronger effects for Tides of Vengeance.The strength and complexity of traits should increase as content patches come out, similar on how tier sets worked back in the day. This happens because at start classes and specializations bring enough changes themselves, so adding complex effects at the start of the expansion is a bad idea.In addition to new traits, Blizzard announced changes to the M+ Azerite system. The Weekly Chest will no longer drop Azerite Armor but instead drop a Mythic+ currency in addition to the normal loot. A random piece of Azerite with higher Item Levels costing more currency. A specific piece of Azerite. Costs a "premium" amount of currency. Check out their exact costs in our Azerite Impurity Vendor Coverage.All Tides of Vengeance's endgame Azerite pieces will contain 5 rings, with the new one presenting another choice of class traits. On top of that, there are new Azerite traits being added. Check out our Azerite Traits in Patch 8.1 Overview for a complete list of Azerite updates in the patch. If you reach revered with Champions of Azeroth in one character, all characters in your account will be able to acquire the Heart of Azeroth upgrade from Magni, as soon as Tides of Vengeance launches.Learn more about Champions of Azeroth in our Reputation guide for Champions of Azeroth. Reputation Gains will be easier to acquire for the four Legion Allied Races, through increases in World Quest gains. These Allied Races are Void Elves, Nightborne, Highmountain Tauren, and Lightforged Draenei. So far, only rep gains are added on the PTR for Argussian Reach and Army of the Light. Many reputation-locked transmogs will have their requirements loosened, with some being made account-wide, as this seems one of the biggest arguments about having account-wide factions. Progress towards achievements like 100 Exalted Reputations will be completely account-wide, meaning you won't lose out on swapping mains or earning exalted first with a different character. Reputations with equivalents on the opposite faction will only count once towards that.Looking forward for this change and want to start getting closer to 100 Exalted Reputations? Check out The Exalted guide, an overview of all reputations. Hunters get to tame crawgs and bloodbeasts via Blood-Soaked Tome of Dark Whispers. Pet battlers rejoice, the next pet battle dungeon will come with Tides of Vengeance and will take place in Gnomeregan! Check out our preview of the Gnomeregan battle pet dungeon.Excited about the new challenge pet dungeon? Check out guides for the previous two: Wailing Caverns and Deadmines challenge dungeons. Mini Spider Tank is awarded upon completion of Pet Battle Challenge: Gnomeregan. Nobody is sure why someone though making a miniature version of the machines in Gnomeregan was a good idea, but they sure are fun to play with. New profession recipes will be added on Tides of Vengeance, including many new Sinister Combatant items to craft and an Enchanted Tiki Mask for enchanters. Another change to professions in this patch is the reduction of reagents for raid consumables, you can check the datamined professions changes For Build 27826 here and for Build 27985 here. Tidalcore is from Kul Tiras and Zandalar dungeons.